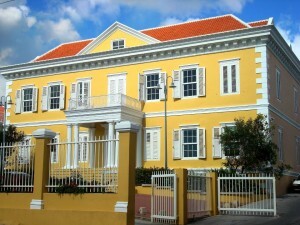 WILLEMSTAD – The parliamentary elections will be held on September 30 this year, but whether each voter can vote is still questionable. Of the 70 thousand addresses on the island, there are problems with about 30 thousand of them. For example, the lack of a house number or because someone does not live at the registered address is causing serious problems for the Registrar's Office. Many problems arise because streets have a new name, but the people do not go to the Registrar's Office for a new house number. In the previous election in 2012, the Registrar's Office was not able to deliver more than 2,000 voting cards because the address did not exist. The responsible minister, Etienne van der Horst wants to make this one of his priorities. The minister wants everybody on the island to receive their voting cards, which means that in the coming months the Registrar's Office will have its hands full with correcting the address registry.